FIles uncovered during my research into the 1792 militia Act. Most people have no knowledge that the City of Washington had a law on the books to prevent the firing of guns within City limits by its own militia. Starting in 1803 the City banned the firing of guns, even by the city militia during the City muster. The men could still own the arm required under the 1792 militia act- but when it came to the required demonstration at the muster that the gun worked, the City would prosecute any man who obeyed orders. The city's fines, or jail time, were heavier penalties then the militia fine imposed by the State of Maryland for men not bringing their arm to the muster. The results of this were documented in the City muster reports filed with the War department and then presented to Congress. The following Excel chart makes the point. To say that the militia wasn't fully armed is one thing. But when a City ordnance actually cuts the number of arms in the City militia in half in ten years, even as the number of men in the militia increased by nearly 30%, is insanity. Two thirds of the militia was armed in 1804: by 1812 only 1/3 of the militia was reported to have arms. And the majority of the arms listed in the City return were concentrated the cavalry and the riflemen units who were populated by the City elites. Gun control activists like to cite an ambassador's letter describing a City militia muster where the men are carrying corn stalks and brooms instead of guns. Since the City Ordinance was reported (during the Heller Case) the question now needs to be asked as to where this ambassador was stationed and during what year. Expect the Ambassador was assigned to Washington and that he served during the time of the City law. Federal records indicate Congress sent no less then two formal letters to the City council demanding they stop this action against their own militia. Because of the shortage of arms, the City was sent 2,200 arms in 1812. Enough arms to equip the entire city militia and have a reserve of over 700 arms. When the British Arrived at Benedict on August 18th 1814, the city militia had only a month earlier had its city muster (the 4th of July). The City in March of 1813 had amended the City law to allow the militiamen to bring their arms to the muster and fire a volley to show the gun worked. But the change in law didn't go into effect until Jan 1st 1814 and thus only during the July 4th 1814 muster could the militia commanders finally see how many arms they had and if they even worked. But the City still had to have their control, only issuing 200 flints for the test and recovering the flints at the end of the muster. The men still couldn't operate without the City Armory releasing flints. 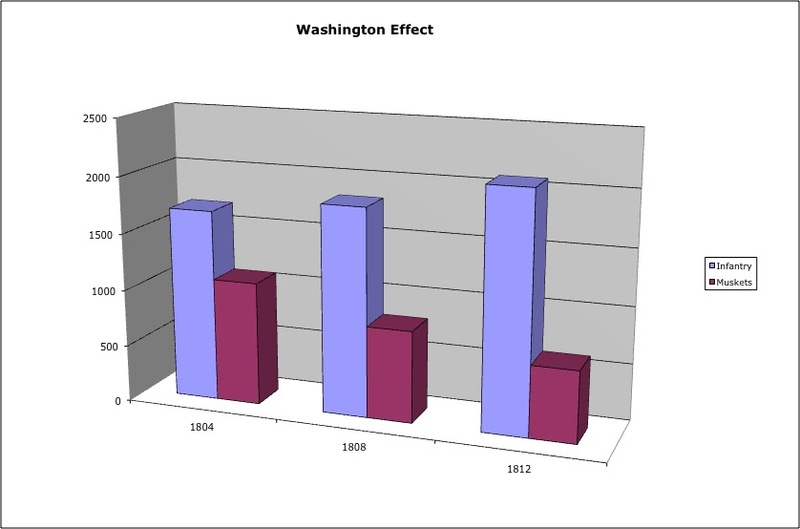 Now the command situation wasn't the greatest in Washington at that time. General Winder was officially in charge of the militia and federal forces within the City as part of the newly formed 10th military district (formed on July 2nd). Before this change the City was in the 5th military district which encompassed all of Maryland and Virginia, and all the troops within. Now Winder only had 1,700 City Militia, 300 troops at Ft. McHenry Baltimore, and another 300 at St, Mary's Virginia ( the 870 troops at Norfolk were not under his command). 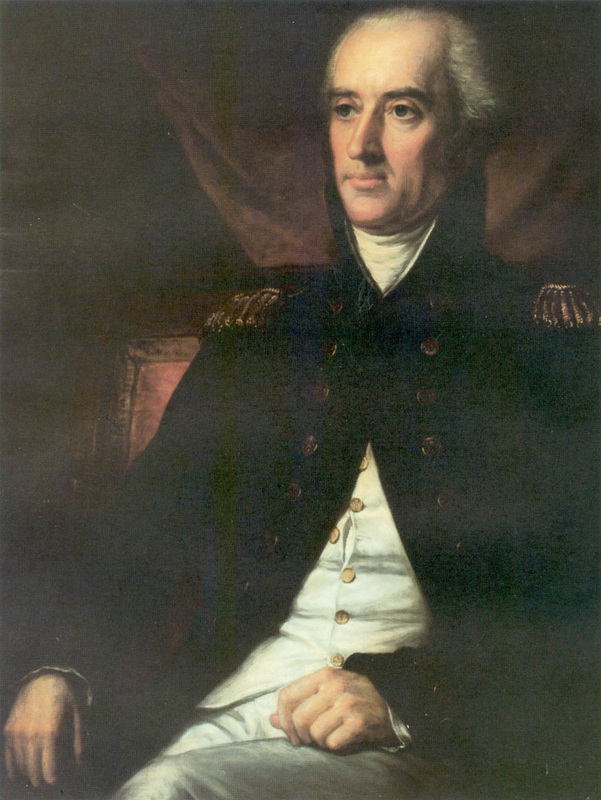 An additional 1,400 militia were under the command of General Smith in Baltimore, but they were not directly under Winder's command. British General Ross landed in Benedict with 4,000 seasoned British regulars. As Winder was trying to find out how many troops he could actually call on other people were acting like they were in command. Secretary of war, General Armstrong issued a summons for 93,500 volunteer militiamen to be made ready for combat. Armstrong was a believer in the volunteer system started in 1812 where men who otherwise couldn't afford to buy the required militia arms served in a Federal militia for two years. After they served they would then receive a gun, bayonet and all the other gear of a militiaman, allowing them to then return to their local militia and serve without financial hardship. Wonderful idea and the true start of the National Guard, but to suddenly expect 93,000 men to suddenly appear was ridiculous. The government started the war with 130,000 muskets in federal reserve and assembled an additional 64,000 by 1814 for a total of 190,000 muskets. At the same time however it had loaned or given over 30,000 to the States (2,200 going to Washington DC), lost close to 10,000 in earlier battles, and had a reported 21,000 undergoing repair at Federal armories. The Army had been tripled to over 60,000 men as well, 50,000 arms also being allocated for the Volunteers formed under the 1812 law. In short close to 170,000 arms of the 190,000 in existence. In 1822 the head of Armories stated in a letter regarding the creation of a Western Armory, "At the close of the year 1814, scarcely twenty thousand stands remained in the arsenals, and great efforts were made to procure an additional supply. Had the War continued another year, the deficiency of arms would have occasioned the most embarrassing consequences." 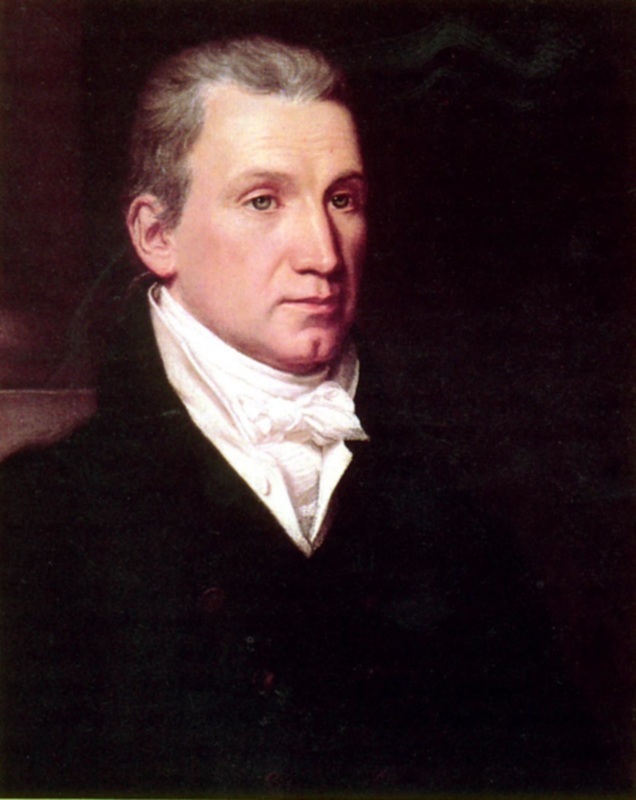 Along with Armstrong, the City high command included president Madison and Secretary of State James Monroe. And outside of the city there were the Governors of Virginia, Maryland and Pennsylvania who had their own issues, and then there was General Smith in Baltimore who wasn't answering to Winder or Armstrong. By the way, Virginia couldn't send armed troops since their militia law required a different arm then the Federal standard. They could send unarmed volunteers, but the city would have to arm them. Pennsylvania couldn't send anyone since their militia Act had expired invalidating all commissions. Once they had a new law passed they would then send troops- sometime in September. As for Maryland, no state was more lax on its militia. Eventually issued a request for 3,000 militia, the State had reported in 1813 only 4,000 muskets for its 28,000 infantry men. Furthermore, they reported they only had 2,000 flints (the city reported only 236 in 1808). I mention this because of the previously mentioned City ordnance. The City law actually gave the men an out for not purchasing the required militia kit. So many of the men were relying on the City Armory to supply arms, flints and ammunition; while the City was relying on the State to supply, who probably was also relying on the Federal government. Battle map for Washington, British General Ross, James Monroe, and Secretary Armstrong. Now am I saying that the militia couldn't fight because it didn't have flints, arms or ammunition. It certainly would explain why so many of the men reportedly fled the battle without firing a shot. But the reality is that the City's law set a completely different problem in motion. As the above map shows the British arrived at Benedict on August 18th. The militia of the City was formed up the morning of the 19th to march to the town of Nottingham were battle was to occur. But the Militia could not leave the city. From the Sworn testimony of General W. Smith: Late at night on the 18th of August, I received orders to call out the whole of the Brigade under my command, to rendezvous on the evening of the following day on the banks of the Tiber, in Washington, and to report to general Winder. The troops assembled according to orders, but being deficient in many essential supplies for actual service, were, after an inspection, dismissed until the ensuring morning, the 20th, when every exertion on the part of the officers being made to perfect their equipment, they moved off from the capitol about 3PM crossed the Eastern Branch, halted four miles therefrom, on the road leading to Nottingham. They were here overtaken by the baggage, when it was ascertained there was a great deficiency of necessary camp equipage, the public stores being exhausted; many troops were compelled to lay out in the open field; and of the essential article of flints, upon a requisition of one thousand, only two hundred could be had. Means were immediately adopted to supply the latter defect from private resources; the former was never accomplished. From the testimony of Colonel Minor, Commanding 600 volunteers from Virginia. On arrival at the armory, found that the department in the care of a very young man, who dealt out the stores cautiously, which went greatly to consume time; as, for instance, when flints were once counted by my officers, who showed every disposition to expedite the furnishing the men, the young man had to count them over again, before they could be obtained, and at which place I met Colonel Carbery, who introduced himself to me, and apologized for not being found when I was searching for him, stating he had left town the evening before, and had gone to his seat in the country. Colonel Carbery was the person in charge of the City Armory. Imagine the Militia is in the field, weapons are not being dispensed, flints in short supply and the head of the City Armory decides to go to his country estate. Even more, imagine this; the militia mustered on the morning of the 19th, but had to be disbanded due to a lack of equipment of which flints are specifically mentioned. They thus don't begin their march until the afternoon of the following day, and they are still reported to be lacking flints. Understandable with the City militia report that there were only some 200 flints in the Armory. And yet when 600 volunteers arrive in the City three days later, there are enough flints in the armory to arm every man. And yet the main body of troops, by then back in the city but heading for Bladensberg are still deficient in flints. But again the real problem. The British couldn't begin their own march until the morning of the 20th. According to a letter from James Monroe, who was following the enemy units with a Cavalry troop, the British didn't arrive in Nottingham until the evening of the 21st ( and these were by boats). At that same time the Militia was taking up camp at the Woodyard estate, less then half a day's march from Nottingham. The day delay caused by the lack of flints mean't the militia was not in Nottingham when the British lead elements arrived. Would the results been any different, the fact is we can now conclude the City's laws and policies prevented the militia from being fielded for a day and a half. 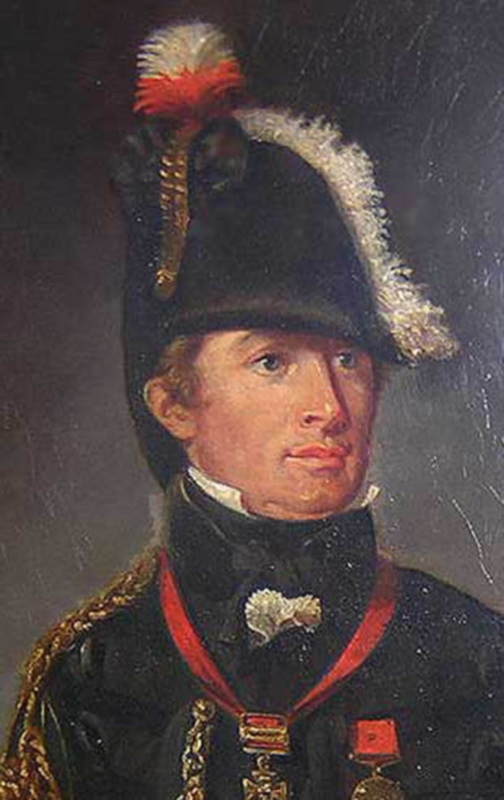 Barney and his marines would have actually still been on his boats, attacking the British boats that were the first to reach Nottingham according to Monroe's letter to General Winder of the 21st. The subsequent battle might still have been a defeat, but the damage to the British Boat group might have forced the General to withdraw back to Benedict. If not he would have had to engage the militia again at Upper Marlbourgh. Otherwise he would have been marching on Washington with no idea what was in front of him, but with an enemy unit along his line of communication, supply and retreat. And after having that battle he still would have had to engage the forces from Baltimore sitting at Bladensberg (either at Bladensberg or Washington City bridges). And in all this, on August 25th, a hurricane hit Maryland. Any one of the proposed Battles- Nottingham, Marlbourgh, Blandenbergs- would have delayed the British by a day. Thus the time line indicates that if Nottingham had occurred the British would have been camping just off Washington when the Hurricane hit. And its long recognized that the Hurricane was the real factor that prompted the British to withdraw back to Benedict. In closing, the City ordinance never should have included its own defense forces. It created a situation of supply that slowed the deployment of the militia, and when it was deployed it was lacking essential gear. Thus the planned battle could never happen leaving the fall back confrontation being literally on the city doorstep. History blames the City militia for the defeat, but the facts show that the militiamen were doing the best they could with the limited means the City politicians left them. Highly trained troops couldn't have done any better when they are poorly fed, lacking ammunition, and potentially having only one in every five muskets actually able to fire.